“Dental Tourism” has become a widespread and complex notion during the past few decades. Hungary was one of the first European countries where dental tourism grew popular in the 1980s. Our country has not lost its prestige amongst dental tourists since then. Dental tourists are patients who travel to another country and seek dental care there, instead of using the services offered in their own countries. Hungary has become one of the major centres of dental tourism by the 21st century. Most patients regard the country as the symbol of dental tourism. Beside the affordable prices and high quality of dental treatments, tourists also consider the touristic charm of the city they visit. It is not by chance that the expression “dental vacation” is often used as a synonym for dental tourism . Patients have several opportunities these days that can make their stay more pleasant. Clinics are happy to help their patients with different services. For instance, they can offer patients to organize their travel and accommodation, as well as their free time programs. Dental tourism became widespread in Hungary earlier than elsewhere in Europe because in the 1980s, in most Western-European countries, the costs of dental care was significantly higher. The costs of treatment in these countries could be twice the amount of those of similar services in Hungary. Thus, a growing number of patients – dental tourists – decided to visit the Hungarian clinics instead. They found that they could significantly reduce their expenses, even including all their travel costs. The idea might have seemed strange at the time. However, more and more people chose to travel to Hungary as dental tourists. Today the country is considered the centre of dental tourism in Europe and the world. The difference in the costs decreased with Hungary joining the European Union in 2004. Still, this price gap remains wide enough for making dental trips convenient for Western Europeans. The more affordable prices of the dental services offered in Hungary was not the only motivational factor for dental tourists visiting the country. Dental experts operating in Hungary soon recognized the potential in dental tourism. Hungarian dentists realized that the more developed and modern their services and equipment are, the better opportunity they might have to establish dental tourism in the country and attract clientele. They have since established a remarkable reputation all over Europe and globally. The key of their success? Precision, speed, high level of expertise and the advanced technology and materials they use. At first, border towns as Sopron and Mosonmagyaróvár were the main destinations of tourists coming to Hungary, but the popularity of dental tourism reached the capital over time. 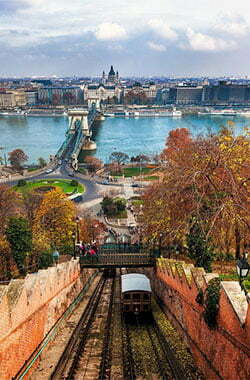 It is no coincidence that Budapest is one of the most popular tourist attractions in Europe. 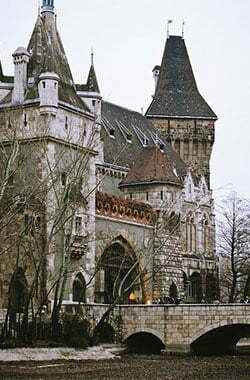 The historical monuments, traditional thermal baths, the Danube with its bridges or the City Park are among the unique sights that make this city special for visitors. Enthusiasts of culinary arts will definitely find something to their taste in the restaurants of Budapest. The vibrant cultural of the city also offers a great variety of opportunities to visitors. Patients planning to travel abroad for dental treatment only have to contact a clinic or a mediator. First they are asked to submit a so-called panoramic X-ray to them so that the experts can assess their condition appropriately. After that the patients receive a treatment plan and a quote. If they find them acceptable, they can then finalise every detail of their travel and treatment. Depending on what requirements they have and what activities they would like to spend their time with during their stay, patients can choose from several opportunities. Upon their arrival to Budapest, dental tourists are usually welcomed by their Personal Dental Assistant. This person’s responsibility is to make sure that the time they spend in the capital is perfect. Dental tourists can turn to their PDA with any problem they might encounter during their stay. The dental assistant can help the patient find a suitable leisure activity (plays, concerts, exhibitions). The assistant always has information about the current cultural events taking place in the city. They can also assist the patient when searching for the best cafés and restaurants, or the must-visit tourist attractions that Budapest offers.